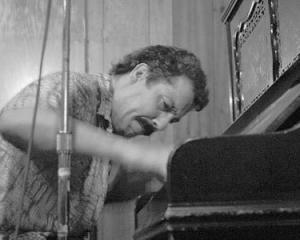 BREAKING – Chicago blues piano great Barrelhouse Chuck has died after a four year battle with prostate cancer. He was 58 years old. He was born Charles Goering on July 10, 1958 in Columbus, Ohio. As a youngster he was playing drums by the time he was six, and then he moved on to the piano. Later he moved to Gainesville, Florida with his family. It was here that he first heard the music of Muddy Waters, and he continued listening to the blues. Through listening to this music, he learned the various blues piano playing skills he would eventually master. Barrelhouse Chuck would spend 15 years playing with, and learning from Sunnyland Slim after heading up to Chicago to meet the master. He would learn from other as greats as well, including Blind John Davis, Little Brother Montgomery, and Erwin Helfer. Over the years, Barrelhouse Chuck was privileged to have played with the likes of with Buddy Guy, Otis Rush, Jimmy Rogers, Eddie Taylor, Hubert Sumlin, Otis “Big Smokey” Smothers, The Cashbox Kings, Kim Wilson, and Mud Morganfield. In addition, he released several of his own albums including Salute to Sunnyland Slim, Got My Eyes on You, and Blues Calling. He has been referred to as a “Living legacy of Chicago blues piano,” and as anyone who has seen him play will attest, he was breathtaking to watch.